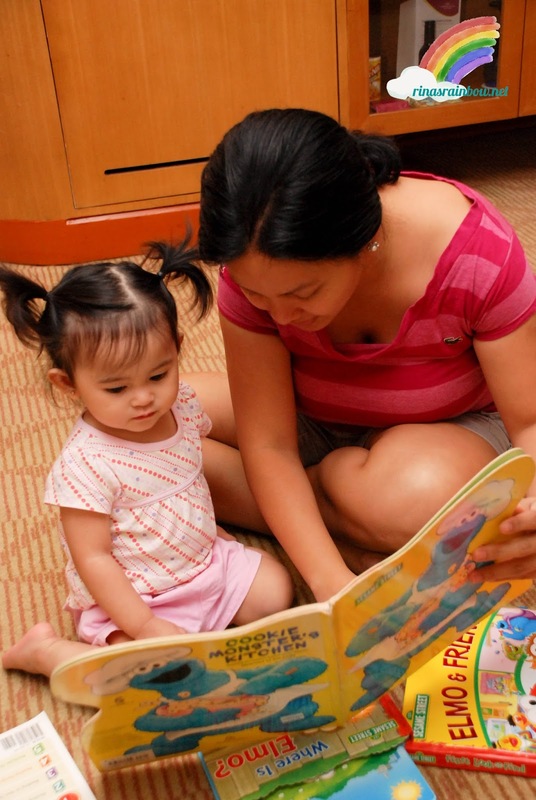 Rina's Rainbow: Pre-Loved Affordable Books for Rain! 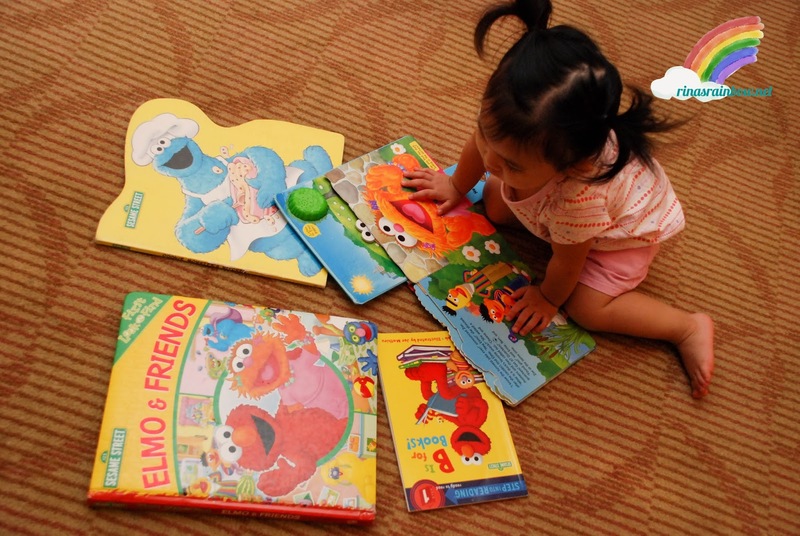 Sesame Street Pre-Loved books on sale! And with just one look you could tell these books originally cost a lot. Hard and huge pages, some even with sounds. 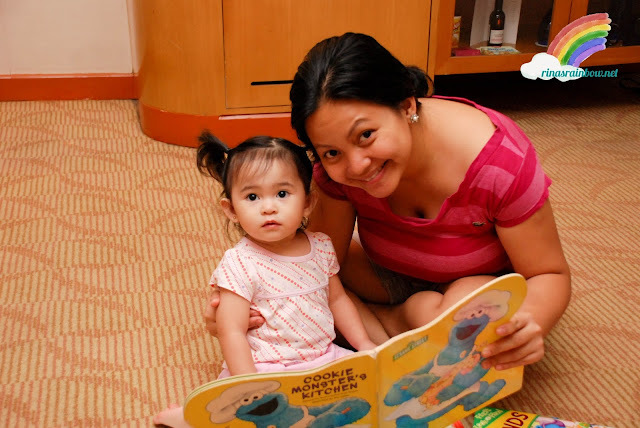 And since Rain was starting to have some fascination with turning colorful pages, (and since she had an undeniable love for all things Sesame Street), we couldn't help but buy some for her! 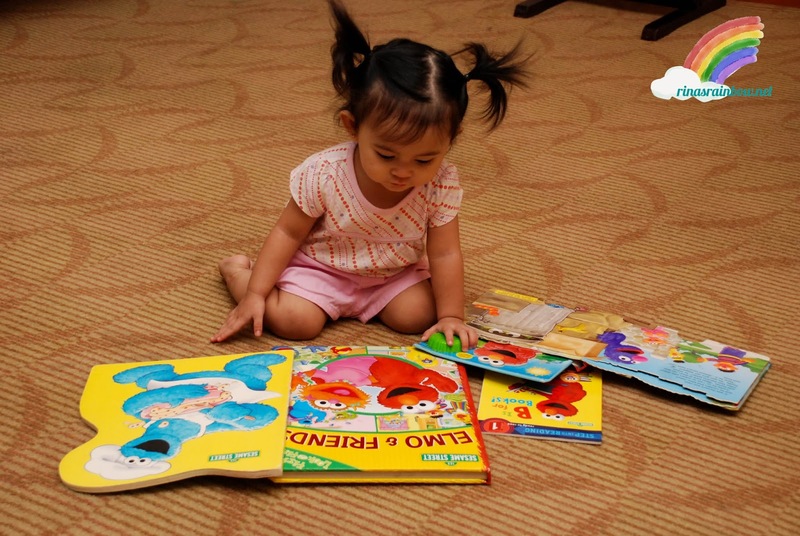 We thought it would be a perfect way to encourage her to love books more. She was asleep when we were browsing for the best and most appropriate books we could get her. 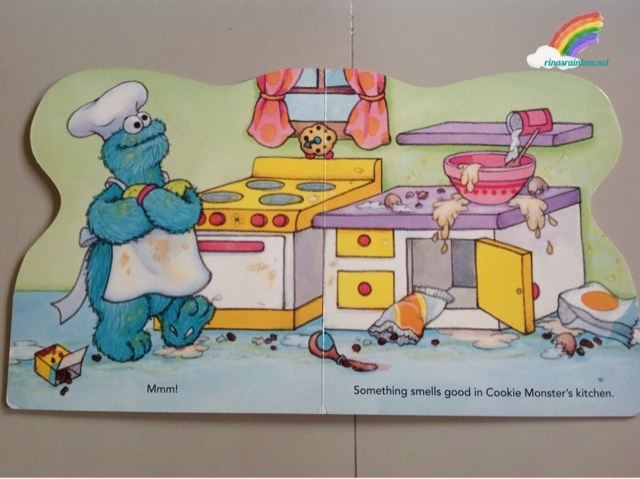 This Cookie Monster book's suggested retail price was originally $7.99. But we got it for P145 (Around $3)! 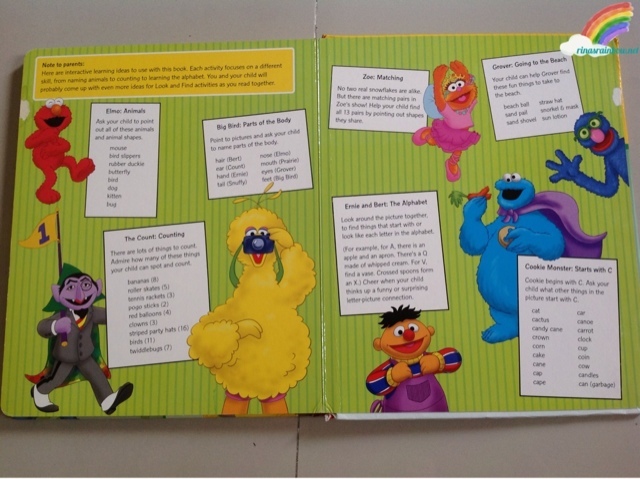 It has huge photos and just 1-2 sentences per spread. Perfect for a toddler's short attention span. 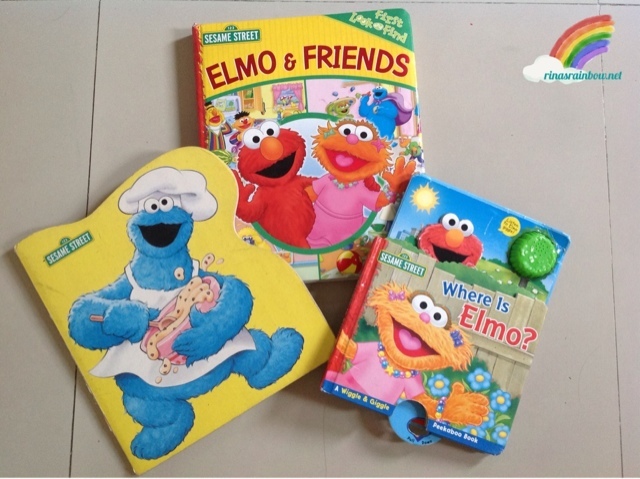 This Elmo and Friends book is also huge with hard cardboard pages. It doesn't show any original price but we got it for only P275 (Around $6). 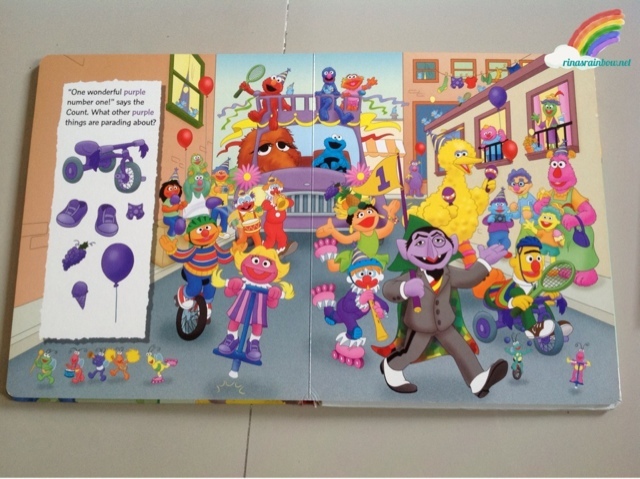 It's a look and find book filled with Sesame Street characters. It teaches about colors as well. 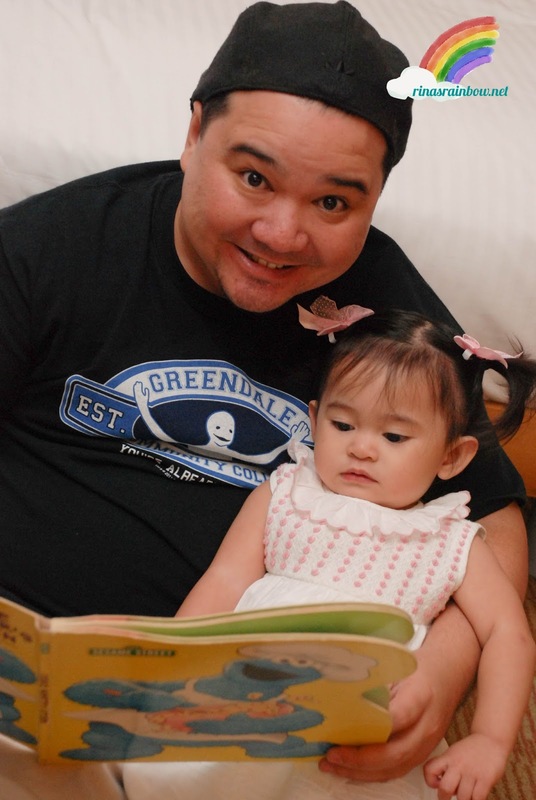 At the back of the book, it shows parents some interactive learning ideas that you can play with your kids using this book per page. I thought this book was the cutest. It's Where Is Elmo? by Reader's Digest Children's Books. 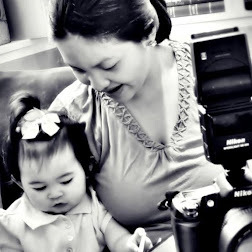 The original price was $12.99 but at Books & Mags we got it for only P175 ($4). 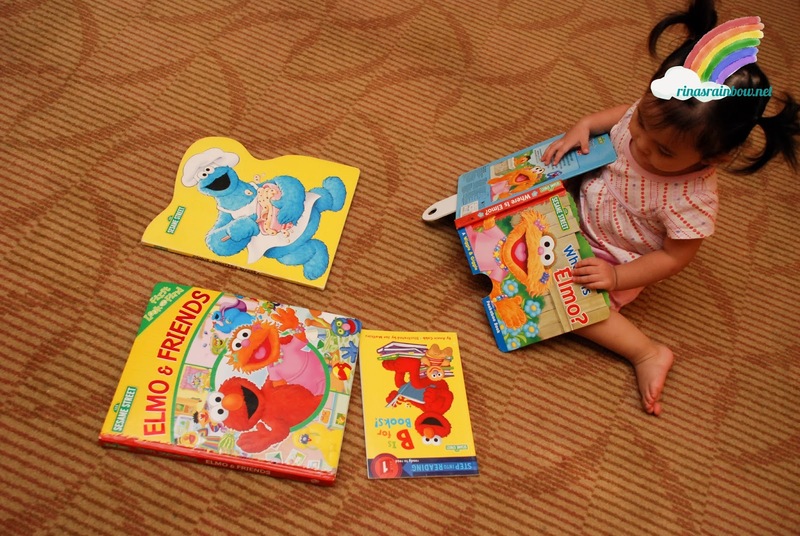 It's a book where you play Peek-a-Boo with Elmo. 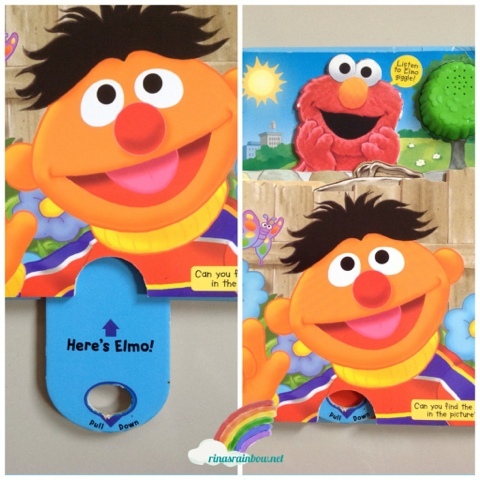 The book tells you when to push the handle up to reveal Elmo hiding behind the bush or the fence, etc. And each time you do, you'll hear Elmo's famous giggle. So anyway after some book shopping, we finally were able to check in and as soon as Rain woke up, we surprised her with her new old books! She loved them!